With the official start of the professional American football season breathing down our necks, it’s time to tailgate! 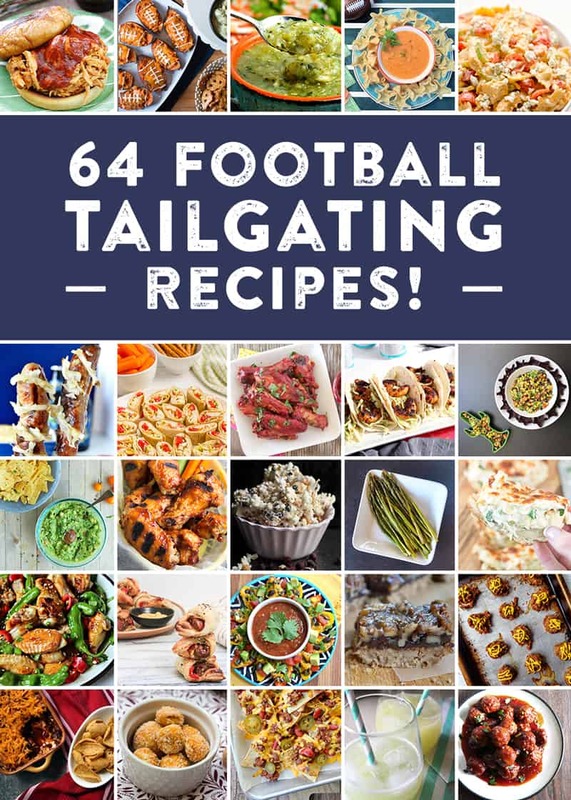 You know how I feel about Fall (boo) but I'm always in the mood for football (yay) In celebration, I’ve joined a group of bloggers from all over the country—to bring you 64 tailgating recipe ideas for a kickin' football tailgate party. Click on their links below to join in on the fun! If you're a long time reader, or even a casual Nik Snacks fan, you have to know that I am a huge football fan. There's something about pledging allegiance to your hometown team, your favorite star player from your alma mater or just the love of the gridiron action on the field; and let's not forget the fun colors, decorations and fun smack talk that goes down too. I am a Carolina girl, through and through but before I knew what Carolina was, I was a fan of any and everything Phildelphia. Philly is the city of my birth and I think it's the best city in the Northeast. Im a Southern lady, but my blood is really just dark green tinged with silver haha! Blending my two football loves into one dish was easy as soon as I was asked to collaborate with 63 other bloggers: Hot Bacon Dip! Not only is it hot from the oven and full of smokey bacon bits (pigskin, anyone), it's hot with the spice of Texas Pete hot sauce and cooled down with creamy Philadelphia cream cheese. You can't go wrong with anything in this very simple and easy dish for your next tailgate! 3. Add in the cheddar cheese, Parmesan cheese, garlic and mix well. 4. Add mayonnaise and the cooked chopped bacon pieces. Mix well. 5. Spoon into a 2-quart baking dish and bake for 30 minutes. 6. Garnish with green onions and serve hot/warm with crackers. This dip sounds so good! I need to try this for our next game! Sounds like a delicious dip! All that cheese and bacon - can't go wrong! This dip looks like everything I need in my life right now (ie- Bacon!). Can't wait to try it! Your dip sounds delicious. Definitely a tailgate party must try. Love how you collaborated with lots of other bloggers for all the food recipes and snack ideas. We have something similar on our site for the liquid refreshment side of things titled "NFL Football Team Inspired Cocktails - Drinks For All 32 Rosters" which would be a great pairing. Cheers and let's go watch the game.